Darrah National Park in Rajasthan, India is a national park was found in 2004 consisting of three wildlife sanctuaries in Rajasthan - Darrah WLS, Chambal WLS and Jaswant Sagar WLS. 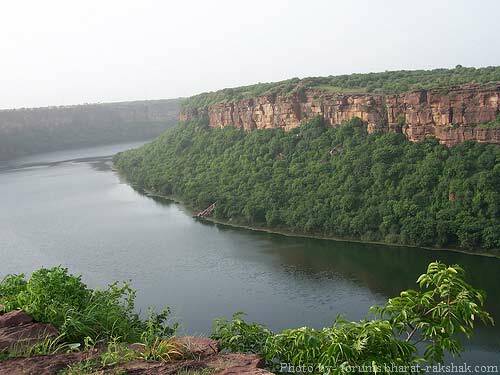 The national park contains large tracts of forests formerly part of the Maharaja of Kota's hunting grounds. An erstwhile royal hunting preserve of the Maharaja of Kota, it is a thickly forested sanctuary lying along the southeastern border of Kota. This hilly sanctuary with thick forests is worth a visit. The animals which are found here include Wolf, Sloth Bear, Chinkara and Leopard. This sanctuary is stretched in the area of 250 sq. Kms, almost 50 kilometres from Kota. Talking about Darrah Wildlife Sanctuary, as it was a royal game hunting reserve of the Maharaja of Kota because this park is the home of various wildlife species, colorful birds, reptiles and astonishing wildlife creatures. The name Darrah is taken as the ‘pass’ in the local language revealing the purpose that the region served earlier. The Marathas, Rajputs and the British utilized the opportune position of the forest to seek asylum during war. In this place tourist will get to see the spotted Deer, Wild boars, Bears, Sambhar, Leopards, Panthers and Antelopes. In the Desert National Park you will find great Indian Bustard. Some other beautiful animals will include to Chinkara, Wolf, Blackbuck Indian Fox, Desert Fox, Hare and Desert Cat. Among the birds you can find grey partridge. You can also find birds like blue tailed and green bee-eaters, drongos, common and bush quail and Indian rollers. The leopard, jackal, hyena jungle cat, sambar, spotted deer and nilgai are the main attractions of this sanctuary. There are many historical monuments in the sanctuary. The famous Gagron fort near Jhalawar surrounded on three sides by the Kalisindh River, is also situated on the fringes of the sanctuary.